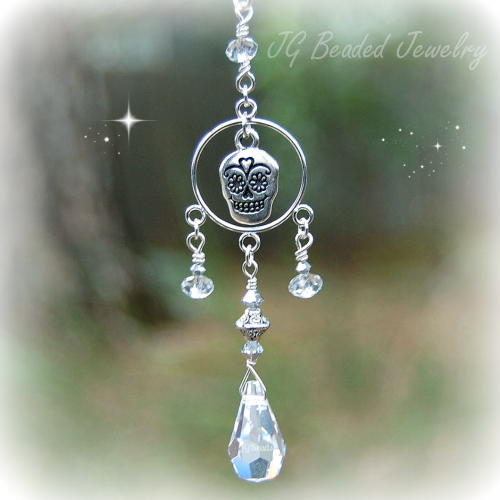 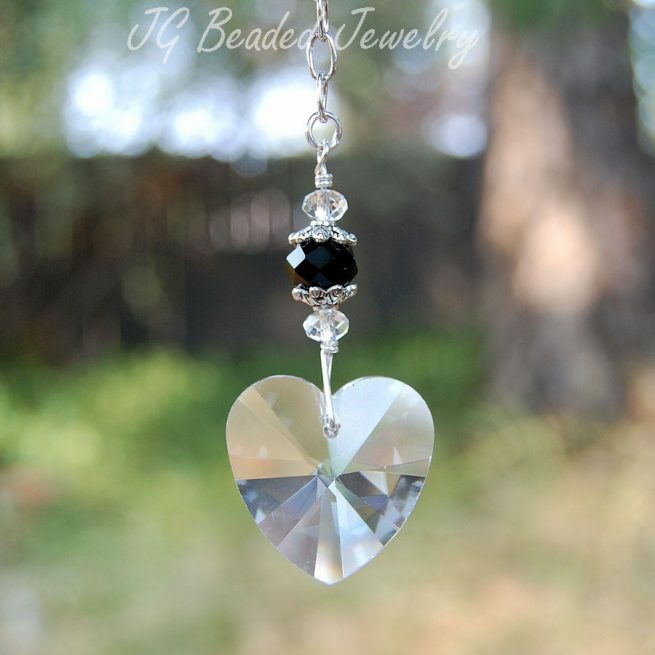 This hanging Swarovski crystal heart is wire wrapped by hand for strength and longevity with a gorgeous Swarovski crystal heart, black and clear faceted crystal beads along with fancy silver metal beads. 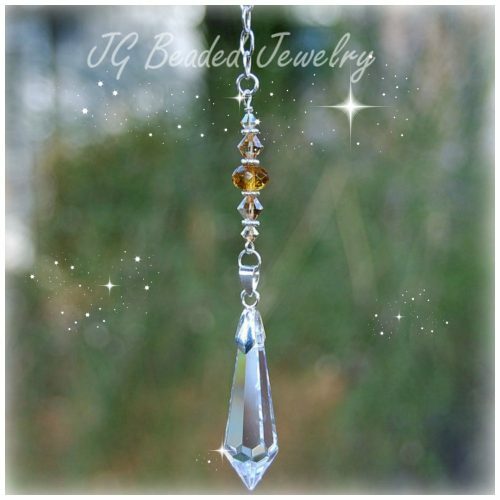 The heart measures approximately 1 1/8″ at the widest part and almost 1.25″ long. 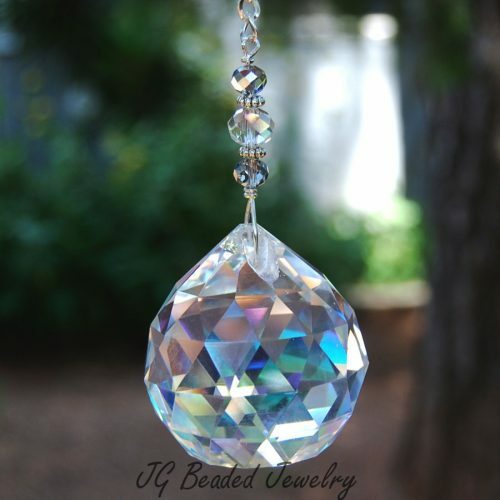 Swarovski is known worldwide for precision cut and flawless crystals – they are the absolute best! 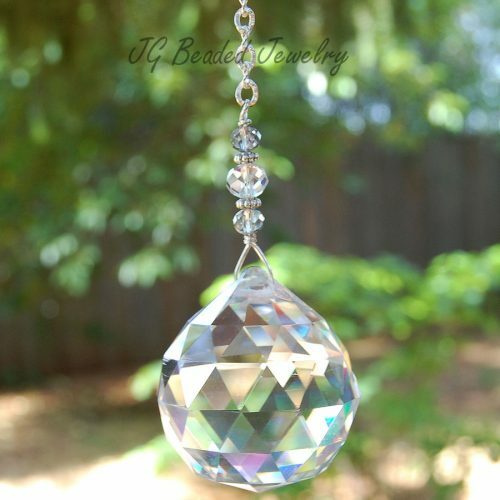 ♥ If you would like more than the quantity available, please feel free to contact me with your request!